Gift Certificates/Store Credit are purchased just like any other item in our store. You can pay for them using the stores standard payment method(s). Certificates are good on ANY ITEMS IN THE STORE and can be redeemed any time within 12 months of purchase. Coupon codes cannot be used to discount the purchase price of gift certificates. Purchase of Gift Certificate does not qualify for free gift. 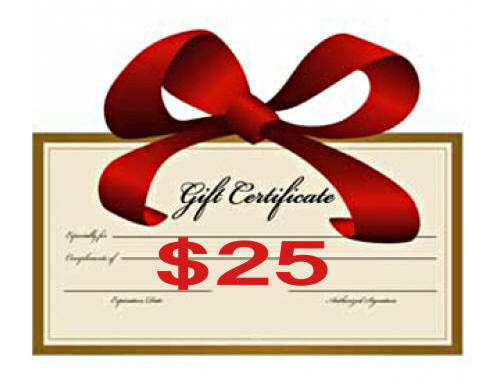 Once purchased the value of the Gift Certificate will be added to your own personal Store Credit Account. Now that you have funds in your Store Credit Account, you will notice that the amount shows in the Shopping Cart, and also provides a link, where you may send some or all of your Store Credit as a Gift Certificate to someone else via email.